This boy is as rich as his name sake. 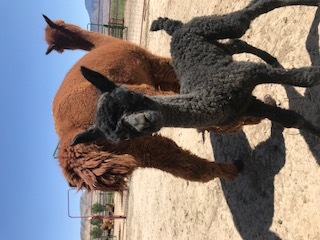 He has it all, beautiful typy head, perfect bite, conformation and lots of fine fiber and he has a sweet personality to add to it. His face and feet are a dark chocolate color. His dam is a true black and his sire is a blue ribbon winner at 2003 GWAS. Mousse is maintaining his finess and is passing it on to his cria. If fineness is what you need, Mousse is your guy. We offer drive by breedings to Mousse for $750 or we can bring him to your farm for a little more. This is a great deal, Mousse is throwing some nice fine crias! 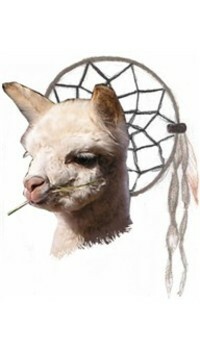 • almost 2:1 female to male cria ratio! We are reducing our herd so take advantage and get a great foundation girl! 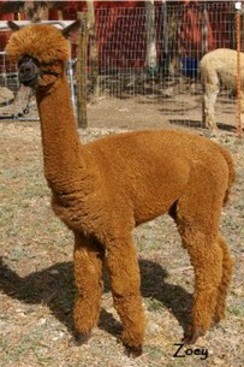 Annabelle is a dark fawn color. She has a perfect bite, conformation and great coverage. Annabelle has Hemmingway and Pluro bloodlines and has beautiful fleece. She is always the first one to greet you or to check things out. She has a wonderful personality and is easy to work with. Zoey is very friendly and loves to have her neck scrached and she gives lots of kisses. She will steal your heart in a second!! Dreamcatcher Zoey is covered from head to toe with crimpy soft fleece that has wonderful luster and bundling. As you can see from her pictures she has great coverage too. 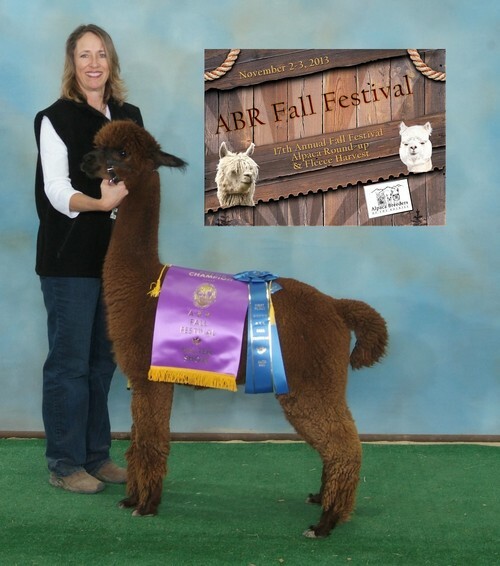 She has proven herself time and time again in the halter show ring, winning ribbons in every show she has entered. Her daughter Dreamcatcher Monet in the Bank won a color championship. Zoey just produced a beautiful TB male with Burn Notice. Zoey would make a fine foundation herd female! Please call if you are interested in Zoey.